12 weeks pregnant with twins! I have gained about 7 pounds in my first trimester. Not showing much yet, however this is my third pregnancy and I took forever to show with both of my previous pregnancies. I have kept active although the nausea and fatigue the first trimester was pretty tough to deal with!! Invest in baby products that make your life easier when baby comes. You will get bigger than you can imagine. The fluid, the two babies, the fact you've had previous pregnancies, it will happen fast. Stay healthy and drink lots of water. I have four children, 3 boys and a girl. My twins are now 10 (boy/girl). I got so big during pregnancy i couldn't fit in a booth at IHOP. 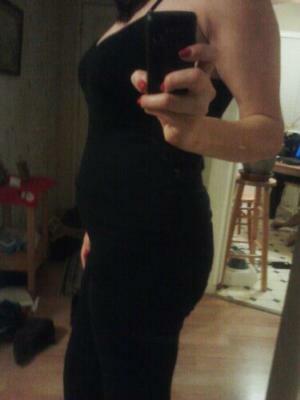 I have been and still am 112lbs before and after all my pregnancies. Eat well, take your vitamins, and drink lots of water.